Grypmat is an American company who pride themselves on developing innovative products that strike the perfect balance between functionality and usability to meet our customers diverse and demanding needs. Grypmat team consists of energetic and forward thinking people that have broad and extensive technical backgrounds as well as years of experience in the U.S. military. The Grypmat material holds tools up to a seventy degree angle with no magnets. The high-friction material protects surfaces and tools alike. Whether you're working on a hot engine, a high-wing airplane, or on the interior of a marine vessel, the Grypmat provides a safe space for you to set your tools. The Grypmat can fold up and retain its original shape. Its flexibility allows it to contour to curved surfaces in hard to reach places. After using the Trio Pack to complete a minor automotive job i decided i should review these and tell you guys what i think. 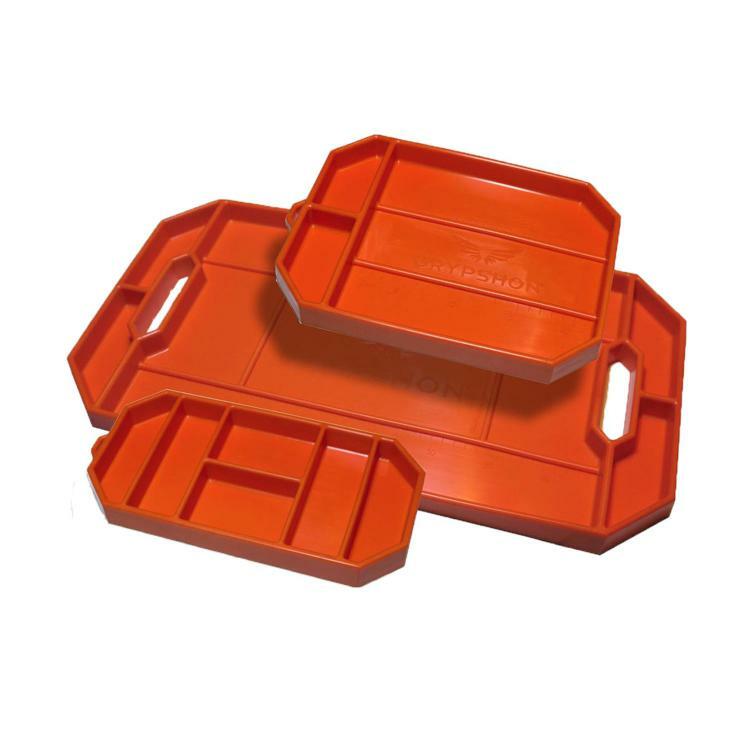 Grypmat is an extremely versatile tool tray are designed to increase efficiency, safety and productivity, it grips to virtually any surface like nothing else, holding and organising your tools, nuts, bolts, screws, components etc making your job a lot less frustrating. I never had to go chasing after that screw rolling away or looking for the right nut removing that frustration. The bright orange not only looks cool but is handy for tool control "shadowing" all the contents in the tray.